Every occasion deserves a cake as sweet as the event you’re celebrating. We can help to make your birthday, anniversary, graduation or any other special event more exciting with a cake that is as beautiful as it is delicious! Our standard cakes can be ordered off our menu with the cake flavor and frosting of your choice. These cakes come complete with a frosting border, as well as script of your choice, such as "Happy Birthday!!!". We try to keep a variety of 4″ to 6″ cakes available in our display cases for immediate purchase. 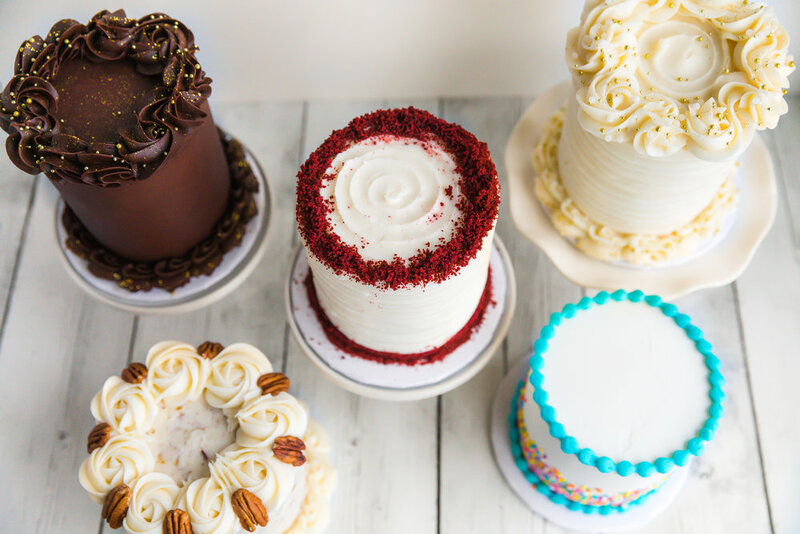 However, we highly recommend placing cake orders at least 48 hours in advance–on popular weekends our baking schedule often fills up quickly. Also, our cake studio is closed Sunday-Tuesday, but cakes can be picked up on Saturday and we guarantee they will still be delicious!! The sky is truly the limit when it comes to designing the perfect cake for your event. We specialize in custom and unique cakes that will be the centerpiece of your celebration. All of our custom cakes are priced according to the size and complexity of the design. Call us at 406-315-1221 or email us at crooked.tree@live.com for more information or to get a quote on your custom cake! We require at least 2 weeks notice on specialty custom cakes and only take a limit number of custom cakes each week. Please consider this when ordering as we may already be booked. CHECK OUT OUR GALLERY of previous cakes FOR INSPIRATION. 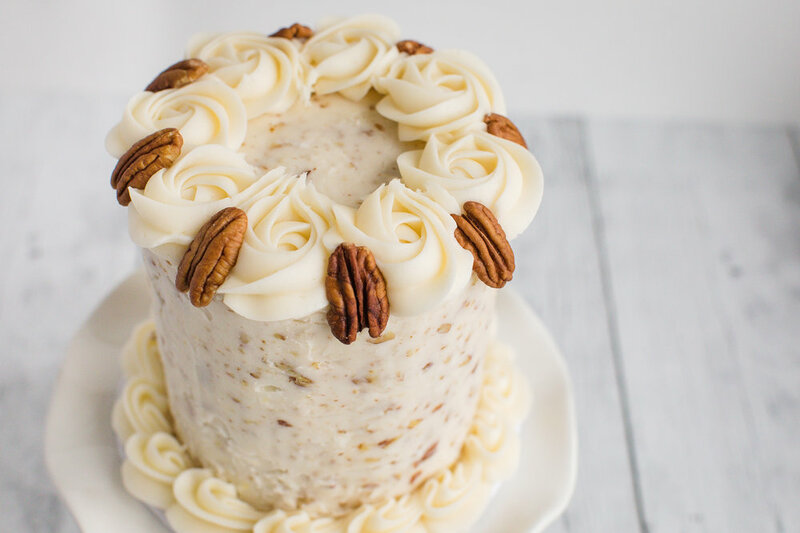 Our moist, fluffy cake filled with a mix of coconut, pecans and pineapple. And don't worry...there are no raisins (for those of you who don't like raisins!). Pair this cake with our tangy cream cheese frosting. Our tangy lemon cake is delicious alongside our homemade lemon, raspberry, or strawberry fillings. Also goes great with our Italian buttercream and cream cheese frostings. With a similar texture as our vanilla cake, this lovely cake is perfect for any celebration and pairs perfectly with our champagne buttercream. On the sweeter side, with a hint of almond flavor. We use our own Herkimer espresso in this flavorful buttercream. Our Delectable Chocolate cake is topped with our silky and smooth peanut butter Italian buttercream. 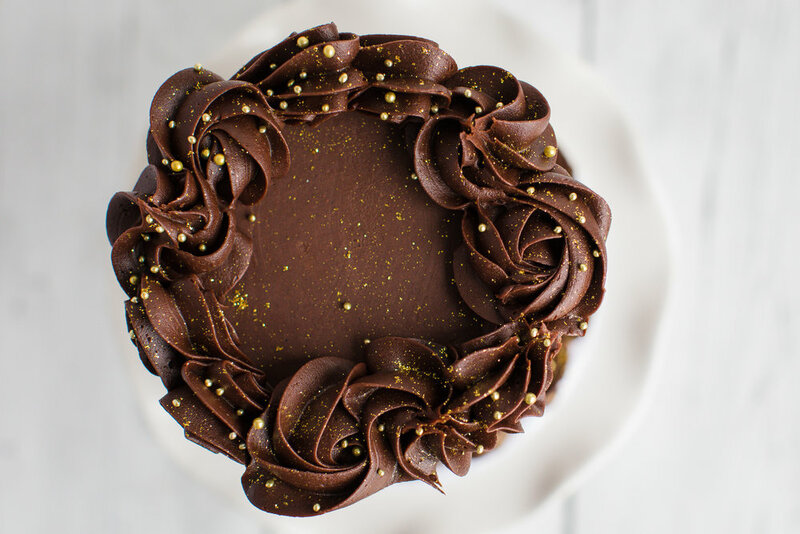 This silky buttercream is infused with a hint of champagne. Silky, tangy, and great with our vanilla or lemon cake flavors. Deliciously tangy and goes great with any of our cake flavors.